So let’s just start out by establishing that there is nothing wrong with getting teaching ideas from Pinterest. This post is here for those of you who need a little bit of reassurance that you still live in the real world and you are normal. If you are more of a teacher who uses Pinterest to fuel your teacher fire, be sure to hang tight! 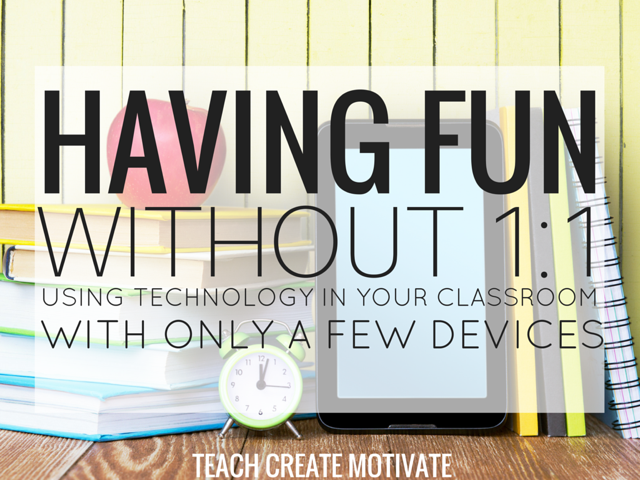 I have teamed up with Kristen from Easy Teaching Tools and she’s got your back! 1. Your students are not judging you. 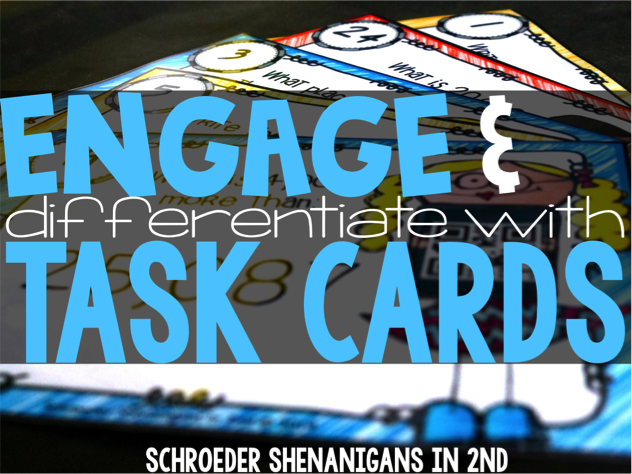 It’s no secret that your students could care less if you got that extra bright paper from the craft store. They are more interested in you and what they are learning! 2. You have more time to prepare for what really matters. I am not going to lie, having a really pretty bulletin board is nice and all. But if I have to choose between spending time perfecting a bulletin board and making sure my lessons are well-planned and meaningful…the latter always wins. 3. You save more money. I mean…that chevron fadeless paper looks really good, but if you use something that you already have, think about all the money you will save! Plus, I am sure you can find another paper that looks just as great! 4. You don’t have to spend unnecessary time after school. You already have enough going on with getting the main stuff up in your room. This way, you can decide what you really need, and then take the time for all that unnecessary tedious stuff and spend it with your family. 5. You won’t have scatter-brain. I will admit, I am SO guilty of this. I see stuff on Pinterest, and I want to try it ALL. I end up doing a halfway job on all of it. Pick one thing you want to try, and do that. When it’s finished, you can venture into new things. Give yourself permission to let stuff go. This is not to say that pretty isn’t effective, but sometimes it’s easy to lose sight of what really matters when it comes to classroom instruction. Kids don’t always need the cutest thing on social media. 7. Your students will love you regardless. 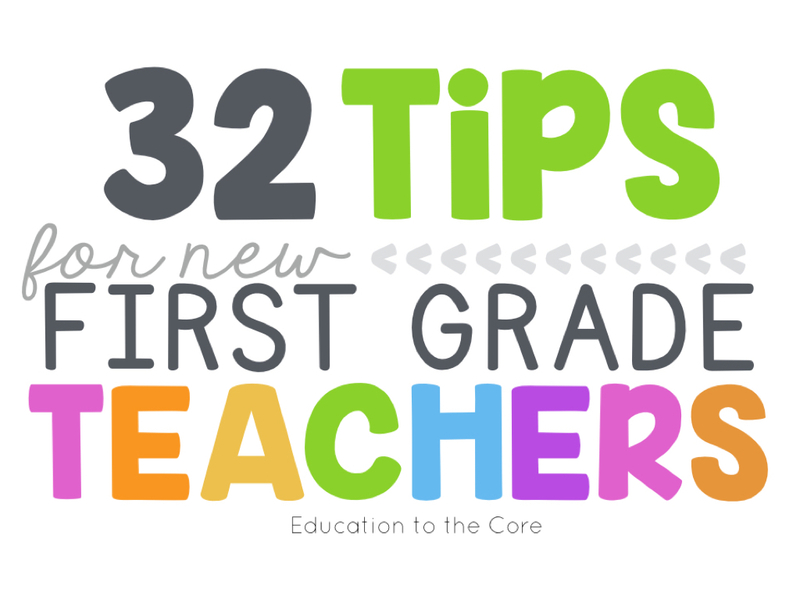 Your classroom could be decked to the 9’s and your students will love you! Alternatively, you could have the most unpinterest (is that a word?!) classroom in the school, and your students will love you anyway. Think about what classroom teachers did before Pinterest! Nothing has changed about the way students feel about their teachers. 8. Your classroom should be a reflection of you! If you find a couple of ideas here and there on Pinterest, by all means…try them! But make sure what you are doing is a reflection on who you are as a teacher, and not someone else. Is your classroom inspired by Pinterest? There’s nothing wrong with that at all! 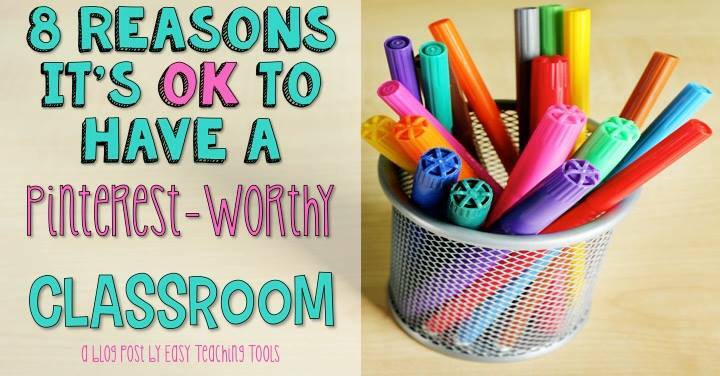 Head on over to Easy Teaching Tools where Kristen justifies why it’s totally OKAY to have a Pinterest-worthy classroom! Check her post out using the link or clicking the picture below! Let’s hear it! Which one are you? !